Welcome to Palestine Today, a service of the International Middle East Media Center, www.imemc.org, for Tuesday, August, 08, 2017. Troops demolish homes in Jerusalem and adducts civilians during West Bank invasions. These stories, and more, coming up, stay tuned. Israeli soldiers demolished, Tuesday, several commercial structures and a barn in Beit Hanina neighborhood, north of occupied East Jerusalem, and a home in Jabal al-Mokabber neighborhood, southeast of Jerusalem. Many military jeeps, accompanied by bulldozers, invaded Beit Hanina after surrounding it, and demolished several commercial structures and a barn, under the pretext of being built without a permit. Furthermore, the soldiers invaded Jabal al-Mokabber neighborhood, and demolished a home owned by Hamza Shalloudi, also under the pretext of being built without a permit. The family said the demolition of their property came without a prior notice, especially since their lawyer managed an obtain an order halting the destruction. It is worth mentioning that the soldiers also handed demolition orders targeting twenty homes in Silwan town, in Jerusalem. Staying in Jerusalem, Israeli soldiers repeated assaulted, on Tuesday, a Palestinian child in Jabal al-Mokabber neighborhood, southeast of occupied East Jerusalem, causing carious cuts and bruises, and abducted him. The army also abducted a local sheikh near Al-Aqsa Mosque, and three children, in Silwan. Elsewhere, Israeli soldiers invaded, on Tuesday morning, several communities in the northern West Bank governorate of Nablus, searched many homes and abducted nine Palestinians. In other news, Israeli settlers, on Tuesday, torched a large area of land planted with citrus trees near the village of Aqraba, to the south of Nablus in the West Bank, according to a local source. Villagers and Palestinian fire crews managed off the fire, local sources added. 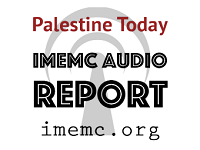 And that’s all for today from the IMEMC News; this was the Tuesday, August, 08, 2017, news round-up from the Occupied Palestinian Territories. From more news and updates, please visit our website at www.imemc.org today’s report has been brought to you by George Rishmawi and me Ghassan Bannoura.